Six U3A’s in the South West Region (Callington, Launceston, Moors Edge, Okehampton, Tavy and West Dartmoor) will be taking part in an Inter-U3A Bridge Competition on Saturday 29th June in the hall of the United Reform Church in Tavistock. The competition will start just after lunch and finish at around 5.30pm with a short break for refreshments halfway through. Participants have paid entry fees of £10 per team and the winning team will each receive a bottle of wine. The Director, who is neutral and totally independent, will work out which team has won based on average scores of the teams and it will be games of regular duplicate bridge. Although it is a competition, there will be many ‘duplicate bridge’ novices taking part and the aim is have fun and enjoy the games. Players will move around and play with other U3A members and we hope that this will encourage more bridge player members to take up duplicate bridge – it’s a very sociable game. The idea for this competition germinated with a few of us at a recent Charity Bridge event, where it was apparent that many of the participants not only belonged to local bridge clubs but also to a local U3A. Seeing so many members play bridge – it wasn’t a big step to consider an inter-U3A competition. We are all looking forward to pitting our wits – and the cards – against each other and hope that this will be the start of many Inter-U3A competitions in the future. 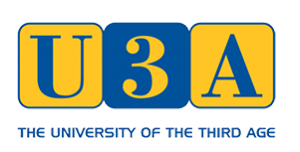 WDU3A meets at 10am on the third Thursday of each month. Prospective new members are always welcome to come along to a meeting for a taster to find out what we do.